Imagine the surprise from children and adults alike when Santa Dave makes his visit to your home! 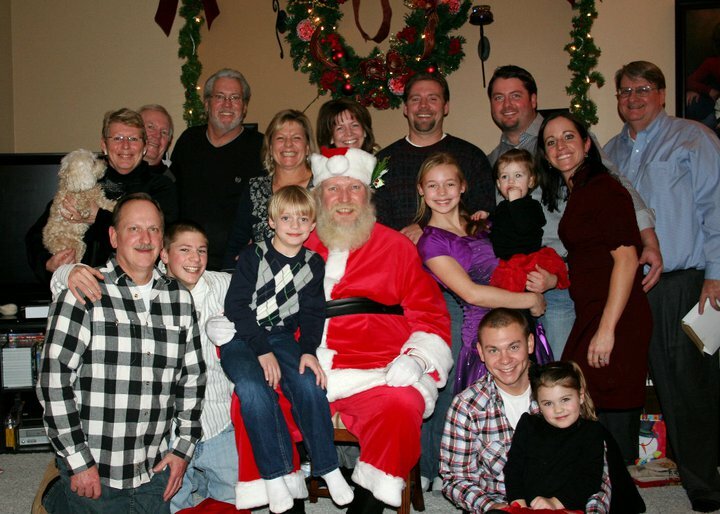 A home visit at a party or family gathering is a great way to spend some quality time with Santa. I can hand out gifts (that you supply), candy canes, read or tell stories about Christmas, traditional holiday tales and Santa's life at the North Pole. This is also an opportunity to get pictures in your own home with out feeling rushed or pressured. Santa's visit can take up to an hour or more depending on the number of children and the activities you wish to for Santa to do. Shorter visits can be made as well and when scheduled on a weekday evening can be a more affordable option. Contact me soon. I would love to make a special visit to your home! Add that special Santa Claus touch to your Christmas celebration! Email me at Santa@SantaDaveSchaal.com or call 612-327-8927.